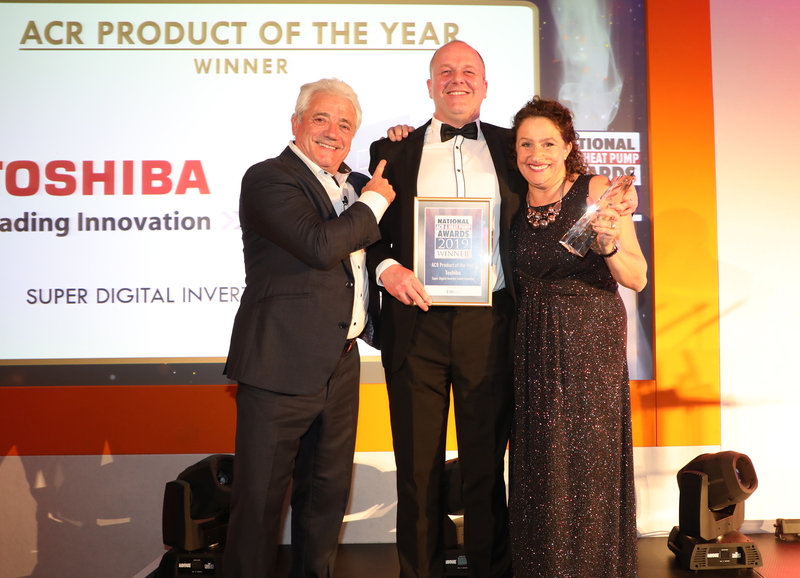 Toshiba’s Smart Cassette was named ACR Product of the Year at the National ACR & Heat Pump Awards. The Super Digital Inverter Smart Cassette is the highest efficiency air conditioning product in its class, as measured by Energy Efficiency Rating (EER) for cooling performance and Coefficient of Performance (COP) for heating, and sets a new standard for energy efficiency, low running costs and occupant comfort. Toshiba Carrier UK Ltd (TCUK) is a joint venture between Toshiba and Carrier in the United Kingdom, and is part of Carrier, a leading global provider of innovative heating, ventilating and air conditioning (HVAC), refrigeration, fire, security and building automation technologies. An automatic occupancy sensor that detects when no one is present, and switches the unit to standby mode or stop, further reducing energy waste. A “draught-free” function enables the cassette to be configured to minimise the angle of air-flow discharge, so air moves almost parallel to the ceiling, eliminating draughts. In addition, a new louvre design enables two types of air discharge simultaneously: a strong directional air-stream for long throw, and a soft directional air-flow for local delivery with gentle, unobtrusive delivery. Despite improving airflow by utilising an enhanced air path, noise levels are lower than standard cassette systems. To further assist comfort, each of the cassette’s four louvres can be controlled individually to ensure occupants are able to optimise air flow patterns to suit their needs. A new ‘cycle swing’ mode allows all four louvres to swing at different time intervals, giving end users precise control over air flow direction and intensity. All settings can be set into memory and recalled for later use. An optional I/O connection kit can be used to conditionally adjust airflow or cooling/heating modes, depending on inputs from external sensors. Using this, CO2 levels, outside ambient temperature or centralised HVAC control can be included as part of the air conditioning management system, further enhancing control and efficiency. The Smart Cassette is suitable for use in retail outlets, offices and leisure applications – anywhere a reduction in power use and increase in comfort levels are required.